From the moment of birth, when a baby struggles to find the first breaths of life, the people and the environment surrounding the child are important to his or her survival. When a child’s birth or early developmental experiences are filled with problems, behavioral issues can arise and begin to magnify as the child grows. A child who has endured trauma may develop an attachment disorder. Children who have been abused or neglected and/or had multiple foster care placements prior to adoption are particularly “at risk” of developing attachment and bonding difficulties. Conventional parenting, standard school discipline or traditional outpatient therapy are often less than effective for “hard-to-reach” children with an attachment disorder. 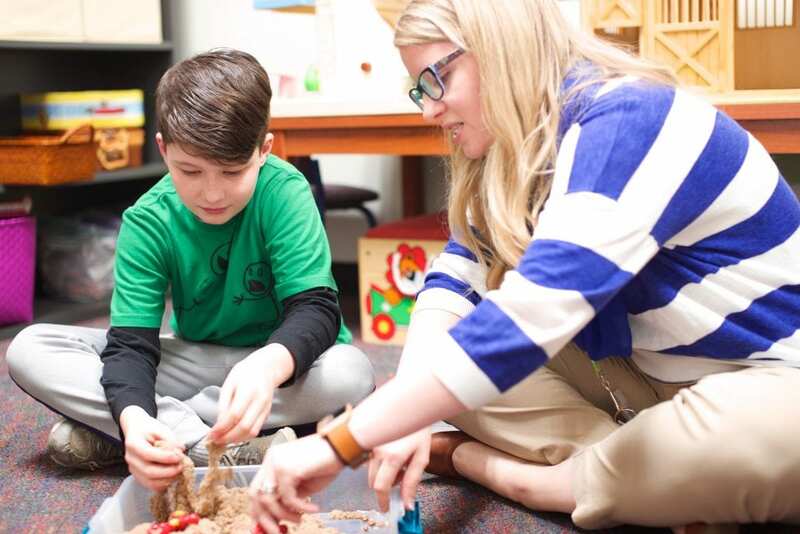 These children and their families need help, and it is available through Catholic Social Services of the Miami Valley’s SAFE Counseling program. SAFE Counseling is designed to treat children and to educate parents of children who exhibit signs of an attachment disorder. SAFE Counseling offers help to parents of children who have serious issues that seem unsolvable. Attachment therapy is an integrated treatment approach that uses elements of cognitive-behavioral, object relations, family and psychodynamic therapies to facilitate child-parent bonding and to measure feedback. In conjunction with these therapies, holding therapy is used to establish a safe place with safe people in which the child can safely talk about and experience the painful issues of the past. The program seeks to jump start the attachment cycle aborted as the result of the child’s earlier trauma. SAFE believes it is essential to break through barriers of trauma before a child can develop healthy interpersonal relations built on trust. SAFE counseling aims to begin the attachment and healing process for the child and the adoptive or current family. If your child has been diagnosed with an attachment disorder, or if you believe your child may be suffering from this disorder, call us for more information or a screening appointment. There are no residency restrictions. Call our Dayton Counseling Center at (937) 296-1007.